What is undeniable is that an atrocity has taken place. 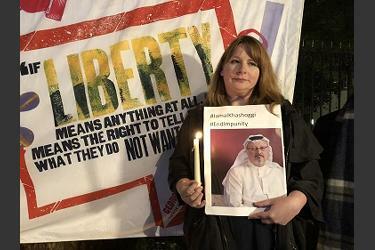 Whether or not we discover the full story, Khashoggi is a victim of state murder by agents of a regime synonymous with repression and his death has provoked global outrage. The killing is anything but an isolated event…. Read the full branch statement “Jamal Khashoggi, Saudi Arabia and the Labour Movement”, which may be downloaded here…. The last branch meeting also asked Dave to draft a motion formally expressing our position.